Forstyler Inc. will ship your order within three (3) business days of receipt of your order from our warehouse in New York after receiving payment authorization. We ship to anywhere in the United States and Canada with United State Postal Service United Parcel Services and Federal Express. All internet orders will receive an e-mail with order number and tracking number, retain this e-mail for your reference until you receive your order. Telephone orders will receive a confirmation number at point of sale. International Sales may be subject to United States Customs fees, bonds, tariff’s, duty taxes and other charges which are the customers own expense. International orders required customer’s service assistance, contact us via email www.info@forstyler.com or by telephone 855-388-0388 prior to placing an order. Requirement of a maximum twenty four (24) hours from point of sale. Notification for cancellation via email, phone or mobile phone and/or fax, or any other means will be accepted and subject to confirmation in writing. Any orders that have been shipped prior to cancelation will be subject to Return Policy. This website (www.forstyler.com) is for informational purposes and service providing tool only, for all our existing customers and potential customers. Forstyler Inc. reserves the right to update these Terms and Conditions from time to time and upon new regulations for E-commerce. 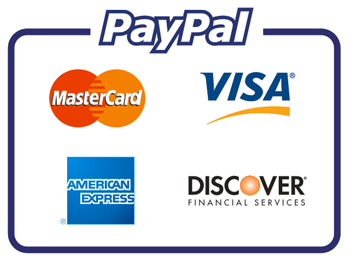 We accept all major Credit/Debit cards and PayPal as method of payment. Our Terms are payment in full within checkout on our website.